One of the wonderful things about working on a long-form project like Occupation is being able to see the changes that take place on the site as time passes and the seasons change. Rich White makes installation works about location, sense of place and the relationships that develop between people and their environment. Key aspects of his practice are resonance and discovery. Works are informed by research of the locality, dictated by architecture and space, and through the uncovering of stories of identity, memory, place and history. These findings are used to develop work that resonates with the location and the viewer. 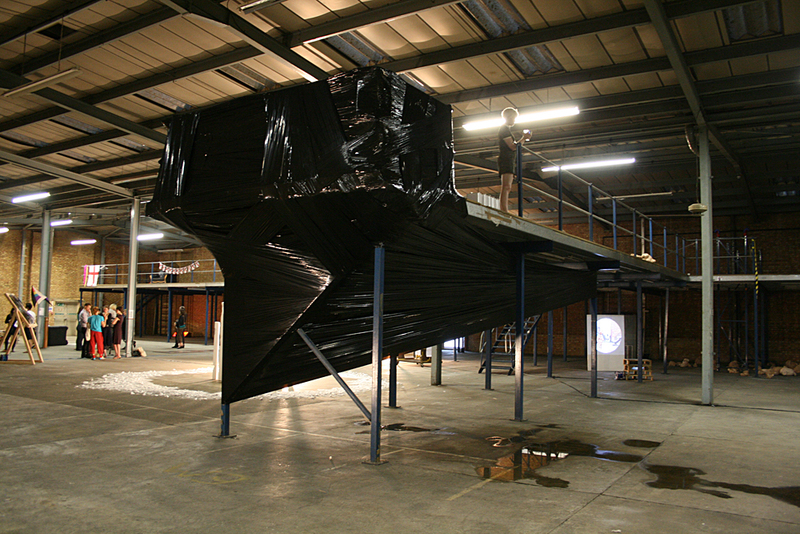 The work also provides a sense of discovery; installations are immersive and interactive, allowing the viewer to explore the physical environment and discover new perspectives and information. 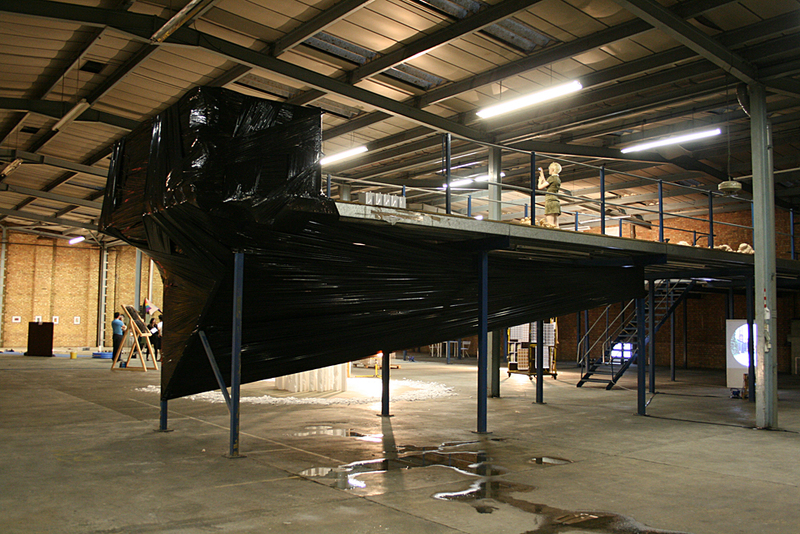 The forms the works take are often unknown at inception; beginning with site visits and research, and organically shaped by the limitations of space, material and self-imposed restrictions. 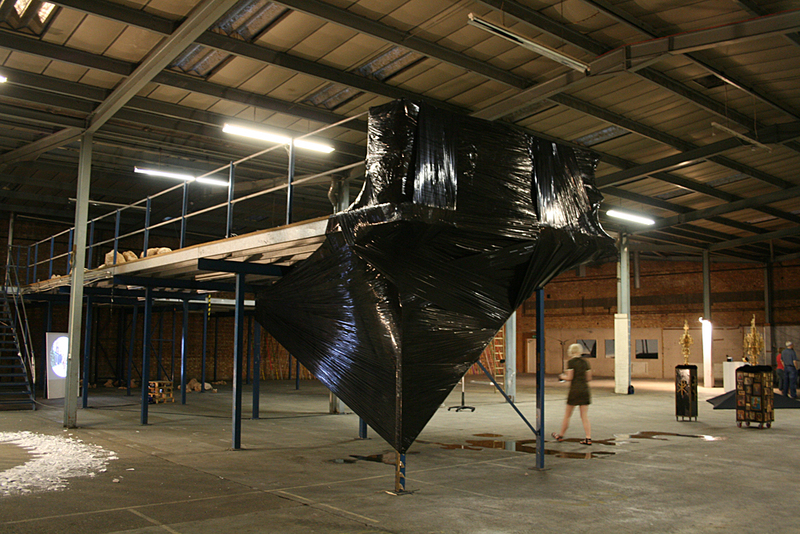 White challenges himself to pragmatically develop and craft new techniques and methods as the work progresses; drawing on familiar patterns, local history and material connections. 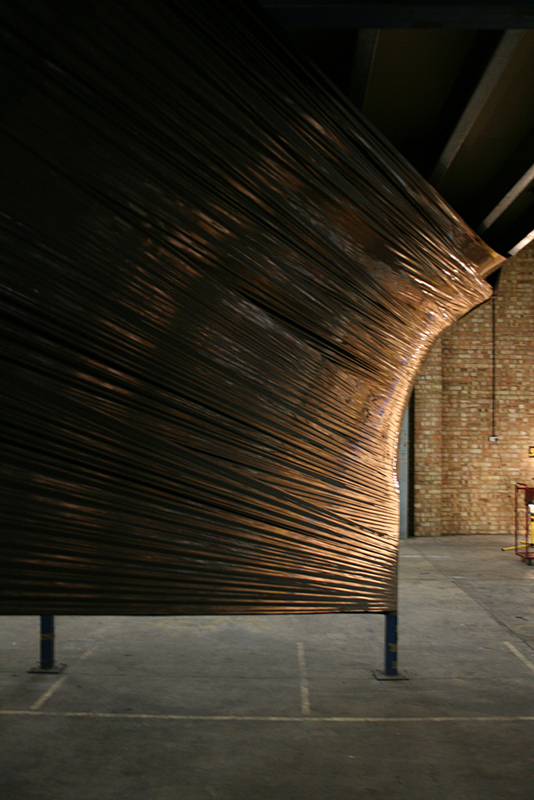 Coincidence plays a creative role in his practice; chance encounters with places, people or materials inform the development of the work, creating sculpture that responds to the varied perspectives people have of their locations and the events that shape them. 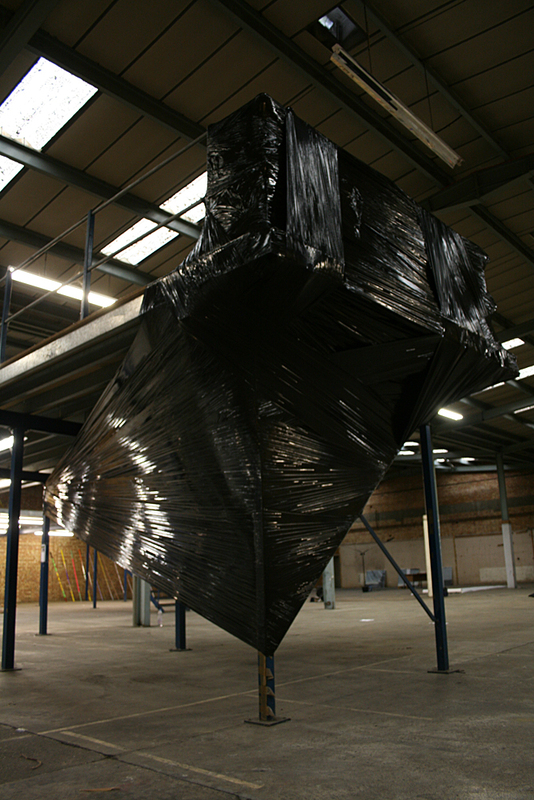 Documenting twenty-five works in public and exhibition spaces. Sign up for the Counterwork Newsletter. Rich is available for commissions, assistant work and design services. 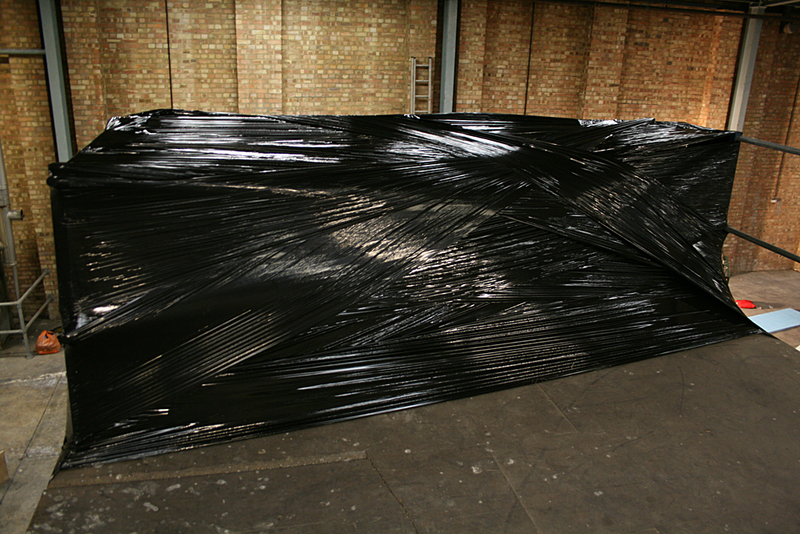 Installation using black pallet wrap. 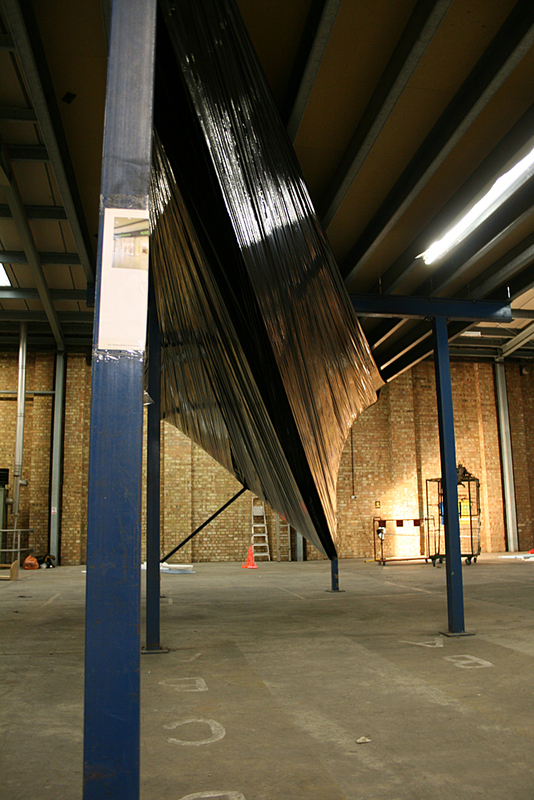 Commissioned for All Systems Go at Departure Gallery, London. 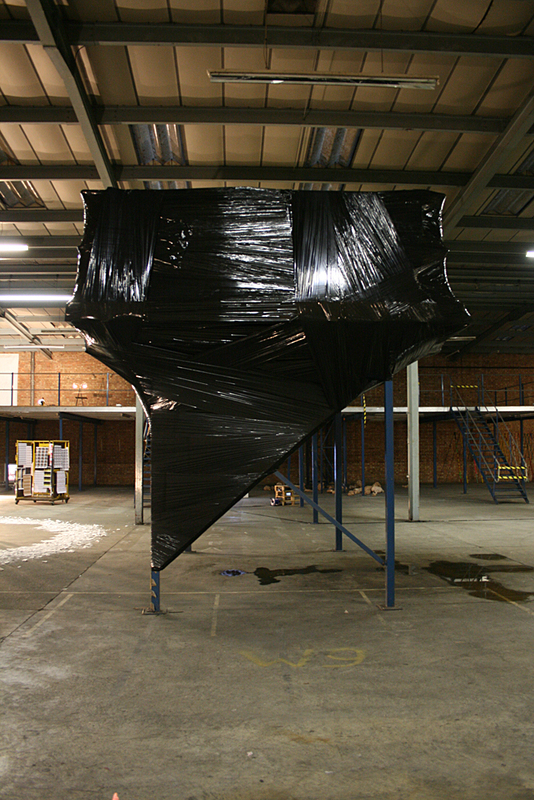 The warehouses of the trading estate where the venue was located had a mysterious air about them. Their inconspicuousness led one to wonder what dubious goings-on might perhaps be occurring behind the doors and roller shutters. For All Systems Go Rich created an object with an ominous presence that hinted at a conspiracy - not only that of crime or shady dealing but also popular conspiracy theory mythology: Area 51, secret government operations and cover-ups. What goes on in those seemingly innocent buildings on the edge of town, and do we really want to know?